When we sing together Amy sings the “top”, whether it happens to be soprano or the tenor harmony. Hannah sings the “middle”, usually the melody but sometimes alto. I sing the “bottom”, or usually the leftovers! ;) We swap around if needed, even if it’s mid-song! Here are some videos of us singing together. A big thanks to Gail McWilliams at Enon Baptist Church for the videos. This entry was posted in Music and Songwriting, Uncategorized and tagged enon baptist church, family harmony, he leadeth me, Mary's Treasure, music, oh holy night, Paige Givens, singing, sisters singing. Bookmark the permalink. Amazing voices!!! Beautifully sung!What a great sister trio and what a blessing! I want to thank you so much, dear Paige, for all your beautiful songs you have shared this year and for your heart-touching words in your blog! It has meant a lot to me. I often wanted to comment in your blog, but what you wrote touched me so deeply and brought tears to my eyes. I felt so moved and unable to write anything at that moment. God has given you incredible talent and you are using it for His glory! I would very much love to buy your CD if you have any left. I checked with Amazon. They can`t send it outside USA since your agreement is only within your country (or at least not to Switzerland). I guess it is more expensive or complicated to use Amazon in other countries in addition to ones own. My husband suggested I could send the cost for the CD and airfreight to you on your bankaccount. Or maybe you have another suggestion? But take your time. I guess you also are quite busy at this time of the year. Wow Hildi! Let me check with my husband and see what we can do. Thank you SO MUCH for your encouragement! Happy New Year, friend! Paige, I am finally catching up with comments & visits. 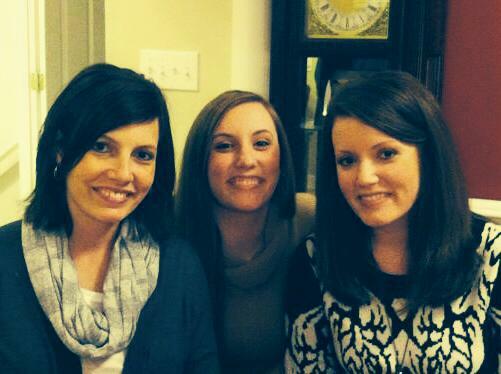 You & your sisters have a most beautiful blend of voices! I so enjoyed all three videos you shared. May 2015 be a year of much opportunity & blessing for you & yours. Grateful our paths have crossed! I just listened to your song, and I must admit you and your sisters have fantastic voices! Enjoyed!